Francesco Vanagolli is a soft-spoken man who lives in Pisa but whose mind exists in the DC Multiverse. He’s a translator for RW Lion, which publishes DC‘s output in Italy. 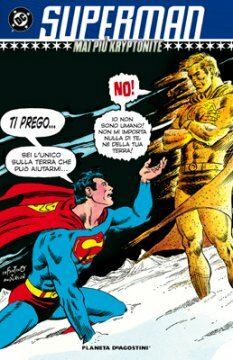 In other word’s before dozens of DC‘s comics reach an Italian audience, they go through him. That translators exist is self-evident. You really don’t think about it. Until you realize that people like Francesco are — not to be sacrilegious — spreading a certain kind of gospel. Englehart and Rogers‘ famed Detective run? He did that. Superman vs. Muhammad Ali? Yep. 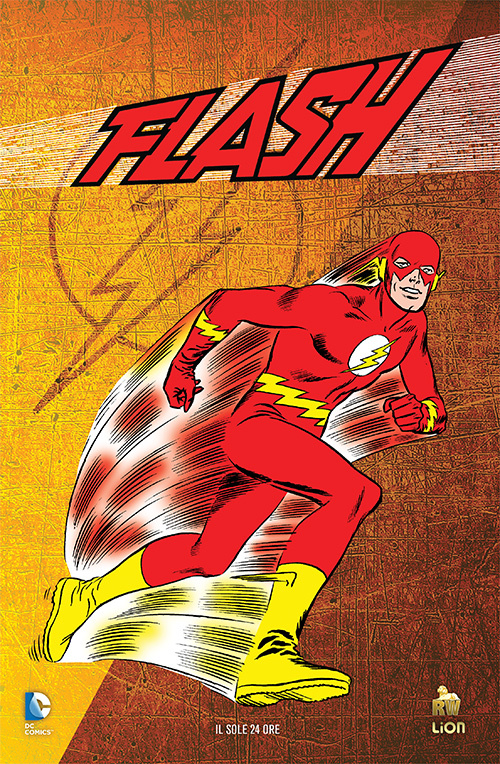 The Flash of Two Worlds? Si. Francesco and I have emailed quite a bit and then we actually met when I traveled to Florence, about an hour from his home, via train. We had lunch with an artist friend of his and then we wandered about, talking comics — the good, the bad and the ugly. Before all that, though, I had 13 questions. He had 13 very thoughtful answers. Dan Greenfield: What’s your background, age, occupation, etc.? I was born in 1983 in Portoferraio, Island of Elba, where Napoleon was exiled. No, I have never seen him, you know how shy these VIPs are. After high school graduation I attended university in Pisa, where I studied Italian language and literature. Yeah, I know, wannabe translators usually study foreign languages, but the truth is, translations weren’t my goal. That simply happened. More on this later. By the way, I am quite skilled when it comes to foreign languages. I know basic French, Spanish and Japanese. And English, well… no “thank you” to my middle school English teacher can ever be big enough. How did you discover American comics? I discovered most of American comic-book characters watching the movies and the cartoons. When I was a child, in the second half of the 1980s, American comics weren’t quite popular in Italy. After something like 30 years of explosive success, almost every series was cancelled around the late ’70s/early ’80s. There was just a handful of titles left (Spider-Man, Conan, Transformers), but distribution was very poor and in my Smallville-like town you didn’t find any of those at the newsstands (and there were no comic shops around). By the way, several unsold comics from the previous years, once the publishers went out of business, were put in circulation again, so you could find some older gems at the newsstands. My first Italian edition of an American comic was, if I recall correctly — forgive me, that was 1988! — an issue of Spider-Man reprinting some stories drawn by Ross Andru 10 years earlier. My first comics featured an array of respectable names, no doubt: John Byrne, Sal Buscema, George Pérez, Marv Wolfman, Roger Stern, Len Wein, Chris Claremont… and I became a fan. How did you end up translating comics? Italian editions contain more stories than American ones (usually three or four) and they also contain articles and essays. 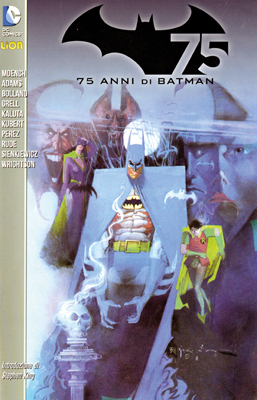 In 2005, DC books were published in Italy by Play Press Publishing, which, after a long “retreat” in comic shops only, began producing comics for newsstand distribution again. 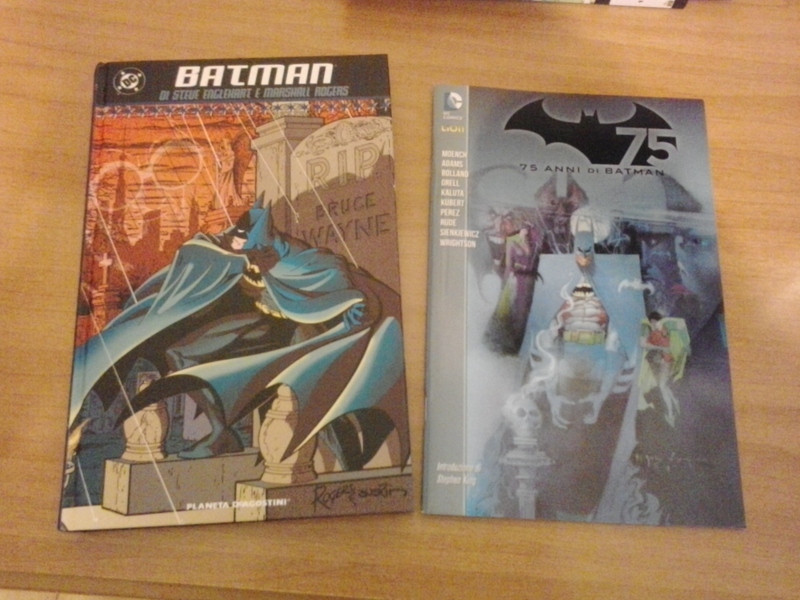 They launched two titles, Batman Magazine and Superman Magazine, containing some of the most recent storylines. The Dark Knight and the Man of Steel had been away from newsstands for four years, so the guys at Play Press wanted to reach a new audience, people who watched Batman Begins or the Smallville TV show but never read the comics. They needed someone who could write introductions, essays, stuff for new readers. They contacted me because, despite my young age, I was considered a Superman expert due to a guide to the history of the character I wrote in those days. 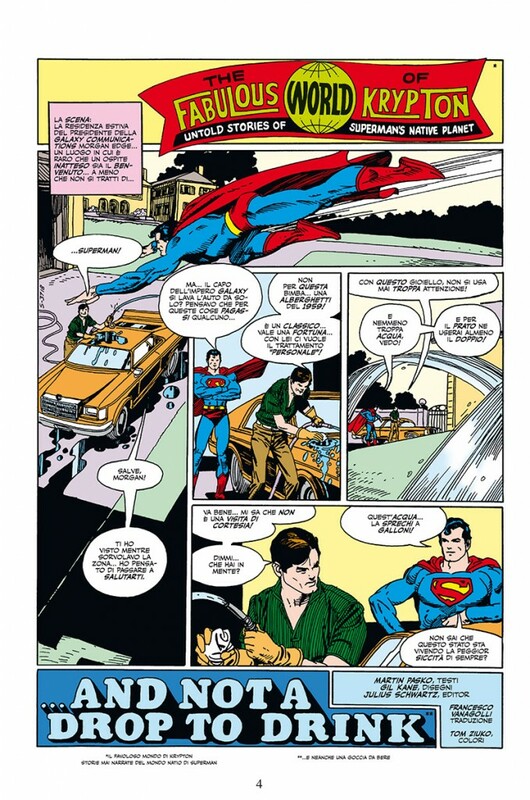 I was just a reader and I never thought I could end up in comics, but I accepted, and I wrote some articles for their Superman title, but no translations. 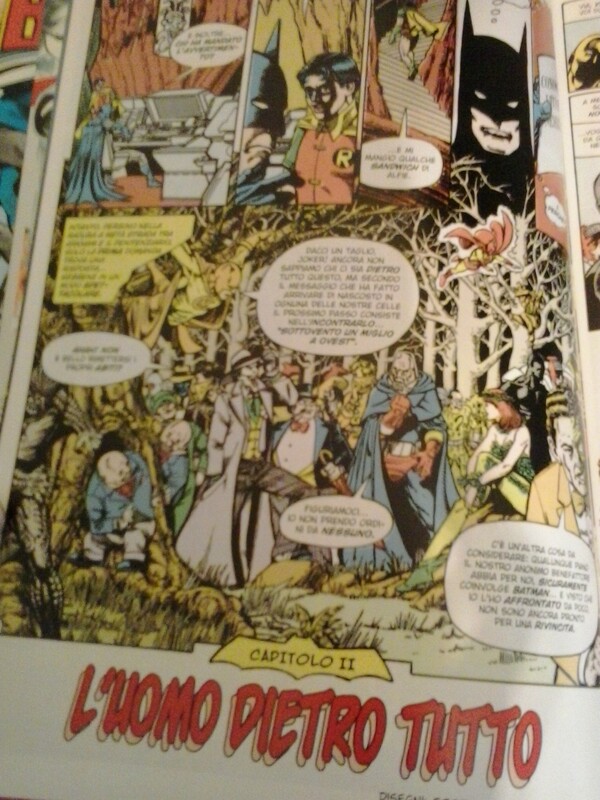 One year later, Spanish publisher Planeta DeAgostini acquired the rights for DC in both Spain and Italy and began printing tons of DC stuff. Unfortunately, they called in translators who barely knew Italian. Their editions were literally unreadable. So, Planeta decided to use an Italian service for Italian translations. They needed several translators because their monthly amount of titles was very large. Back then, I did some studies about comics translations in Italy for my university, so I thought I had to apply what I studied somewhere and asked for a chance. They accepted and so my adventure began. Planeta was replaced by new publisher RW Lion in 2011 (notice how DC changed its Italian brand several times… Marvel always was the most popular here) but most of the old translators were kept, including me. I have spent the last 10 years in the DC Universe. What are some of the most famous comics you’ve translated? I’m usually known as “the old stuff guy,” the one who translates classic stories from the past. While sometimes this may be hard because of old comics’ wordiness — I’m talking to you, Roy Thomas! — I got the chance to translate some historic books, and that’s surely great if you love these comics. The original Superman stories by Jerry Siegel and Joe Shuster, the first Batman, the original Silver Age Flash run, the “New Look” Batman, the Diana Prince-era Wonder Woman, Kryptonite Nevermore, Superman vs. Muhammad Ali, Flash of Two Worlds, to name a few. You feel a sense of history, working on that stuff. I mean, I “gave new life” to Action Comics #1, Detective Comics #27, Showcase #4, The Flash #123… and those are milestones. I had a role in their newest editions, and I’m proud of this. 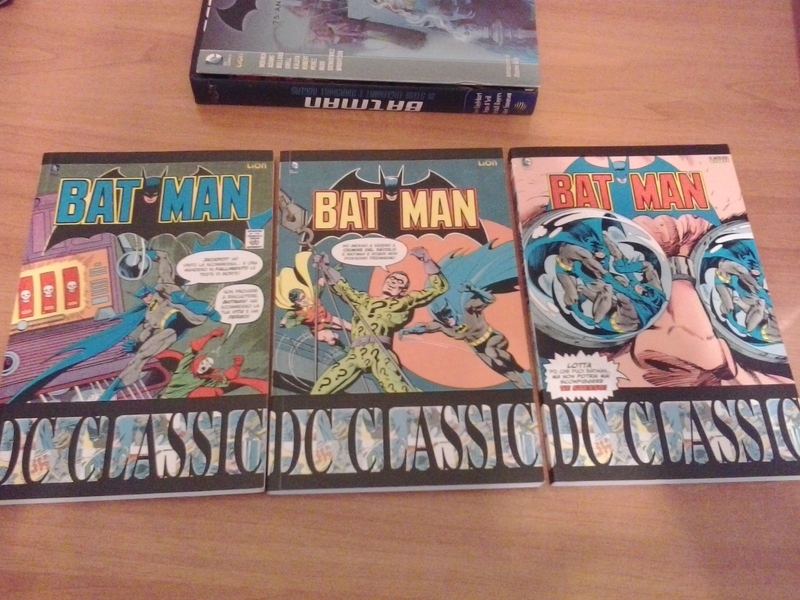 Do Italian readers know who you are or are you the anonymous voice of Batman, Green Lantern, etc.? The translators’ names are usually included in the credit boxes, so everyone can read I’m in there, but I often notice how most of the readers simply don’t care for the translator. You may eventually receive some praise, but that’s a rare event. Someone once told me “I bought this because you did it” and yes, I felt like my work wasn’t that bad…! What are some of your favorite stories? Are there any you haven’t translated yet that you’d like to? I translate DC books, so let’s keep this list a DC list. 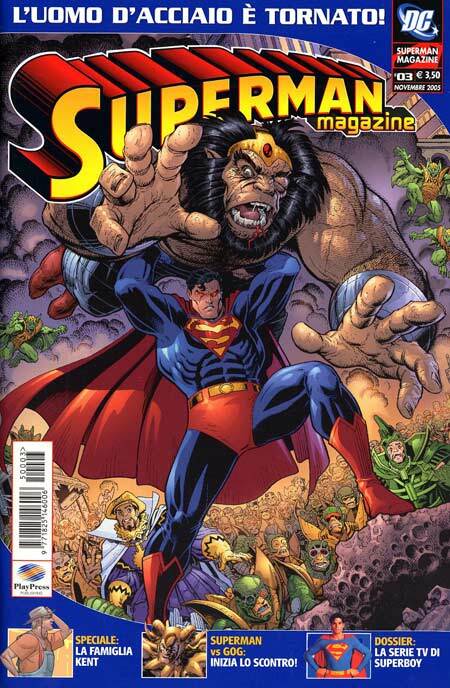 Let’s see… my favorite story, the one that made me a DC fan for life, is Man of Steel by John Byrne. That’s something I would have liked to translate! 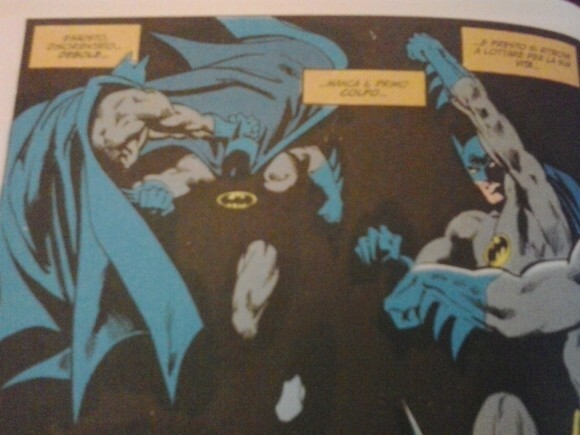 Funny thing, my favorite Batman story was Year One by Frank Miller and David Mazzucchelli, but I changed my mind while translating the classic Batman: Strange Apparitions by Steve Englehart, Len Wein, Walt Simonson and Marshall Rogers. 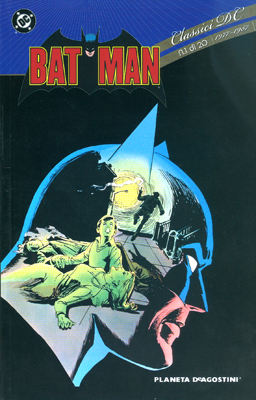 Year One still remains one of my faves, but Strange Apparitions… what can I say, I felt that story as “mine.” That had everything I wanted in a Batman comic book, and Steve Englehart‘s script was so good that I only wished to do it justice. Once my work was over, I realized how Strange Apparitions had become my favorite Batman story. Something I’d like to do … is the complete Superman and Batman: Generations trilogy by Byrne, that would be great. Also, Byrne‘s Wonder Woman would be nice. And, last but not least, the Bronze Age Superman by Cary Bates, Martin Pasko, Elliot S! Maggin. I love those stories, and the Italian audience doesn’t know them. Explain how it works. Do you translate word for word, or do you take certain liberties with idiom and style? Liberties are unavoidable! Sometimes what works in English wouldn’t work in Italian (and vice versa), so you have to rewrite the original words, always keeping in your mind what the writer wanted to express. 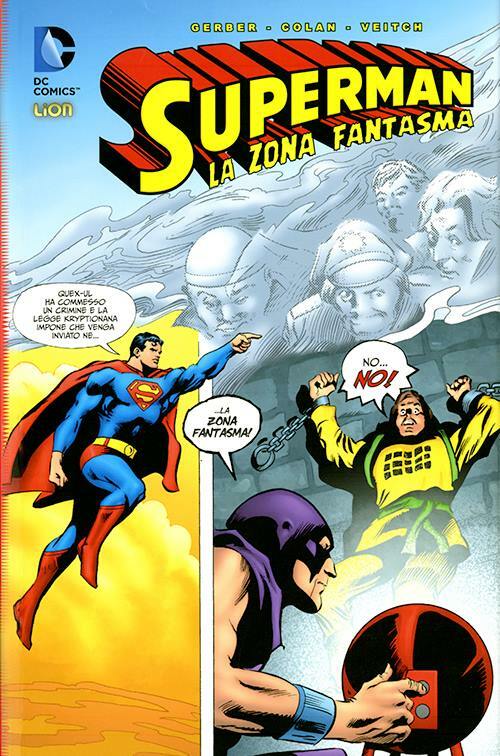 I mentioned Steve Englehart‘s Batman… well, while translating that, I was in front of my computer, thinking “Wow, I love what he’s writing, but in Italian this sentence won’t work. Have to keep its meaning and rewrite it.” That was not easy! I had to respect what the writer wrote while making it readable for my audience. You become a writer yourself. Some of the hardest jobs I did were stories written by Bob Haney and Steve Gerber. I’ll admit this, when doing Gerber‘s Phantom Zone miniseries my most frequent thought was “What did he write? !” Heck, sometimes I believed he invented the words he was using! Oh, and do you know who is my favorite Batman villain? The Riddler. Because he constantly challenges Batman‘s brain. But this is reader me talking. Translator me hates the Riddler, because his clues and word games often don’t work if translated, so I have to read the story, see the solution and then rewrite those clues. And don’t get me started with rhymes. Those Lanterns‘ oaths around the Blackest Night event were a big challenge. Of course every translator has its own “voice” and experience, so certain stories would have been different if another translator had worked on them instead of me. What are your favorite titles currently, American, Italian or otherwise? I’m not particularly into American comics, these days. Too many crossovers, multiple titles, renumberings, it’s hard to keep track of everything. And… four bucks for 20 pages? I’m following just two titles, Amazing Spider-Man and Superman, but new relaunches are around the corner and I don’t know what I should expect. Hope to read good stories, that’s the only thing I ask. In recent years I enjoyed what John Byrne did at IDW, especially Doomsday.1, a revamp/reimagining of his old Charlton series. Most of what Dan Slott wrote on Amazing Spider-Man. And Joe Kubert Presents, in my opinion the best book printed by one of the majors in the 2010s. I haven’t read Archie in a while, so I’m gonna give the new series by Mark Waid a try. 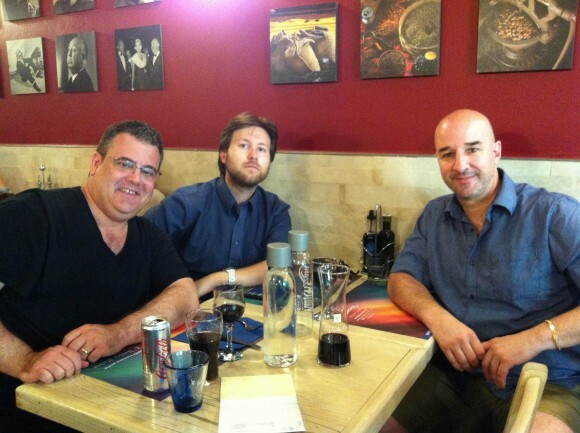 Me, Francesco and friend Martinho Correia, dining in Florence. What response have you gotten from American creators? I saw on your Facebook page that you met Geoff Johns, for example. Is there anybody you’d really like to meet? Meeting Geoff Johns when he came in Italy was great. He’s such a nice guy. I had chats with various creators and it’s always a great experience. They’re nice and supportive. I wish I could meet them all but I have to admit this — Strange Apparitions had such a great impact on my work, so Steve Englehart would be my first choice. We already had long talks about his Batman years ago. If Steve Gerber were alive, that would be another interesting meeting. Name some Italian comics that American readers should hunt down. 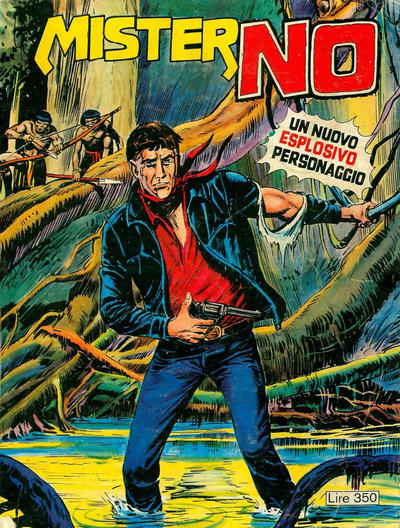 My favorite, Mister No, published for over 30 years by Sergio Bonelli Editore. It never reached the U.S., but believe me, it really was great stuff. Maybe you can find some South American edition. It’s the story of a war veteran, Jerry Drake, who, disgusted by the civilized world’s craziness, leaves for Manaus, Brazil, starting a new life as a tourist pilot. Jerry really wants a quiet life, but crooks, adventurers, scammers and spies are always ready to ruin his day. And, of course, Italian Disney comics. Creators like Romano Scarpa, Giorgio Cavazzano, Rodolfo Cimino, Guido Martina, produced pure gold, stories for all-ages readers in the same league with the masterpieces by Carl Barks and Floyd Gottfredson, the supreme masters. This was a pleasure to read. Reading in another language is always a treat (I can read Italian), and it’s great to hear from the actual translator the issues they come across when doing their work. Very under-rated, I think. Thank you so much for this.